Shop Anthropologie’s new arrivals before they officially debut on the website. 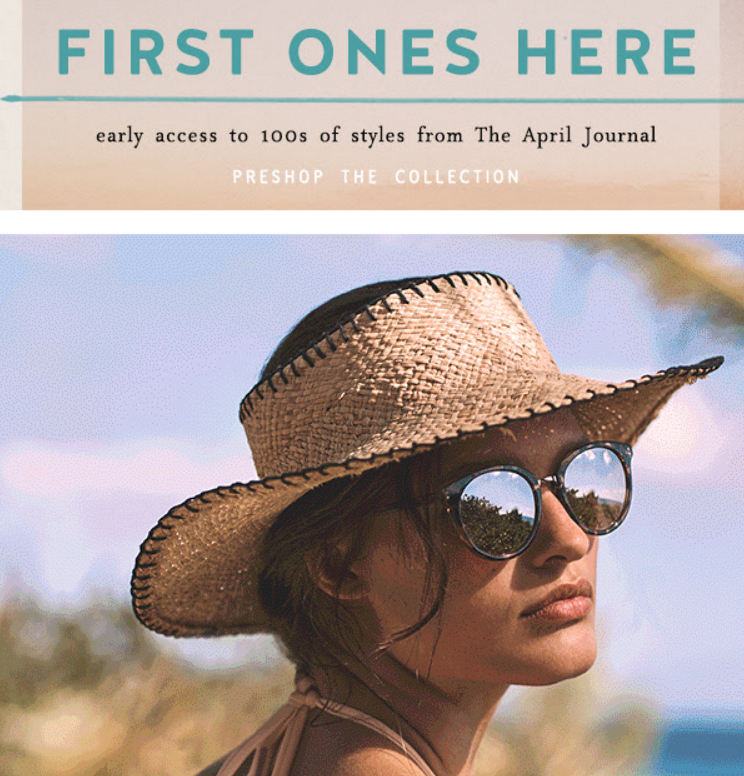 Anthropologie sent out a first dibs link for April’s new arrivals earlier today. I meant to have this post up around 11 AM but a burst pipe in our master bathroom scuttled those plans. I’m still drying stuff but Anthropologie wants us to pretend like we’re near the beach. 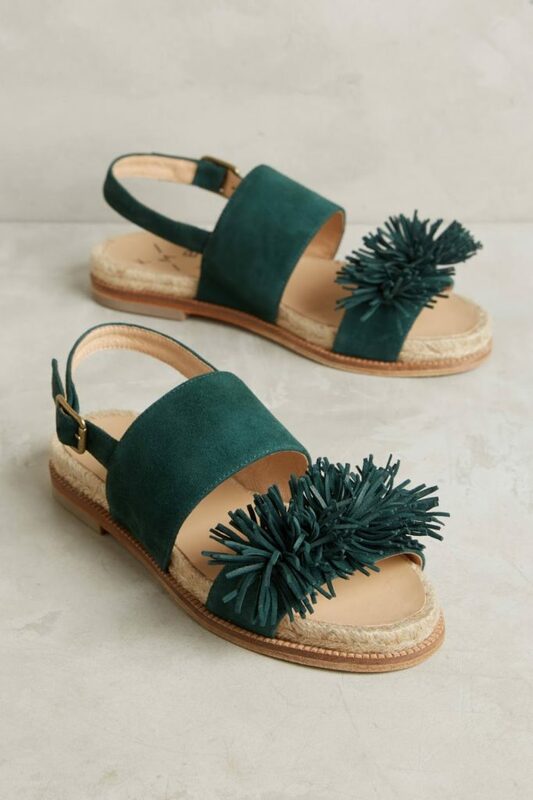 The Fringe Slingback Sandals ($128) are the first dibs I like the most, but they are already on the site! I like a few of the items on the 2-page spread, including the Fringe Slingback Sandals ($128) and the Sa Slide Fringe ($138) most of all. The Waverly Midi Dress ($138) also looks cute, though I saw it in-store today and wasn’t very impressed with the material. I loved the Harbor Jumpsuit ($118) until I saw it was pants and not a dress. The Crocheted Hammock ($285) is very cool, but we saw identical ones in Costa Rica for under $20. Overall, the first dibs are one big meh to me. But they are often are and I usually find plenty of other stuff to love. So here’s hoping the new arrivals load up with pretty soon! What did you think of the first dibs for April? Next Post Spring is in Full Bloom at Madewell! or maybe it's just an awful photo. In any event, it looks awful. i just got the embroidered soleil top. i didn't try it on because no store near me but hoping it's not too cropped? this was literally the piece i liked. The Pommed Tee looks cute – cotton and only $48. Hopefully it isn't too cropped or wide. Nothing else in this pre-shop is appealing to me, though it's nice to see more $48 and $58 tees popping up. For awhile there it seemed they didn't sell any tops under $68. Now where are all the pretty Spring day dresses? Way too casual. In the past they're school-casual, something I can accept. Now it's beach-casual. I went to beach like, twice a year? What's worse, their casual style is not as good as zara's style in my opinion and zara is wayyyyyyy cheaper.